But not just doing it the way everyone does. But from across the River Yamuna on the roof of a village house at sunset as the orange light washes over alabaster marble and the Taj looks like it will envelope you in its loving embrace. 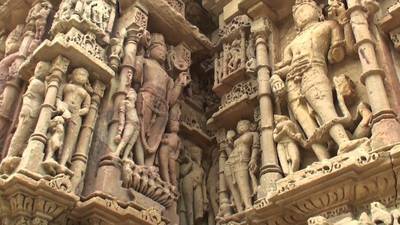 Explore 32 cultural and natural UNESCO World Heritage sites scattered like gemstones across India - from the hillforts of Rajasthan, to the caves at Ajanta and Ellora, and from the rock temples of Hampi, Pattadakal and Cholas to the convents and churches of Goa. 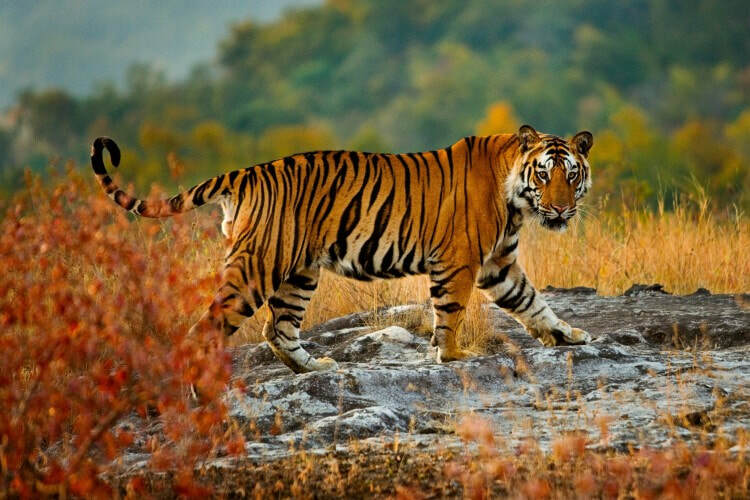 The thrill of locking eyes with the magnificent Bengal Tiger in one of several reserves across India while on a jeep safari, on elephant back, or even by foot. Stay in beautiful wildlife lodges, listen and be guided by India's best naturalists, and be awed by India's incredible biodiversity. 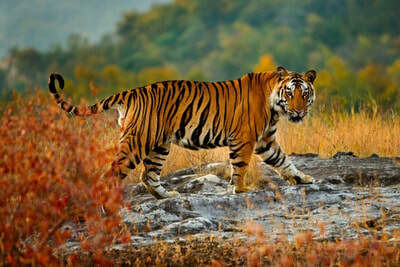 The region's rich and diverse wildlife is preserved in 89 national parks, 18 bio-reserves and 400+ wildlife sanctuaries across the country.India has some of the most bio-diverse regions of the world and hosts three of the world’s 34 bio-diversity hotspots – that is the Western Ghats, the Eastern Himalayas and Indo- Burma. 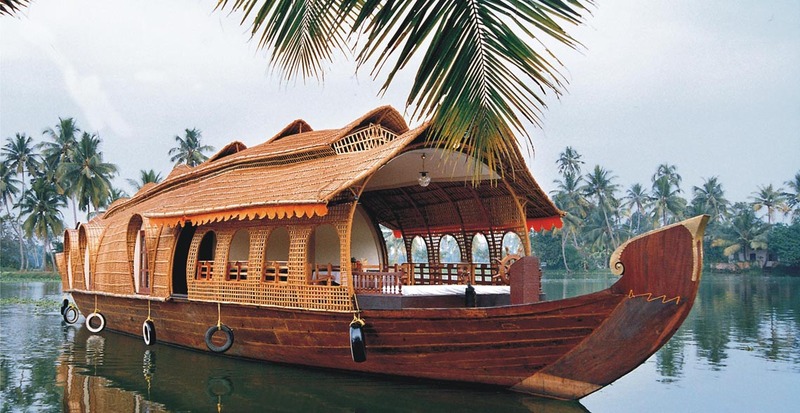 3 Sail on the mighty rivers Ganges, Brahmaputra, Narmada or the coastal backwaters of Kerala. Witness the ancient, yet living traditions of rivers that spawned great civilisations - from hoary rituals in Varanasi to daily life on Majuli in Upper Assam, from island communities in Central Kerala with their music and art forms, to their delicious food and agrarian lifestyles. Whether its a half-day by canoe, or an overnight cruise on a rice boat in Kerala, or a luxury cruise on the Ganges or Brahmaputra - you will have invaluable opportunity to see some of our greatest inland waterways. 4 Walk, trek, raft, ski, or meditate in the shadow of the mighty snow-capped Himalayas. 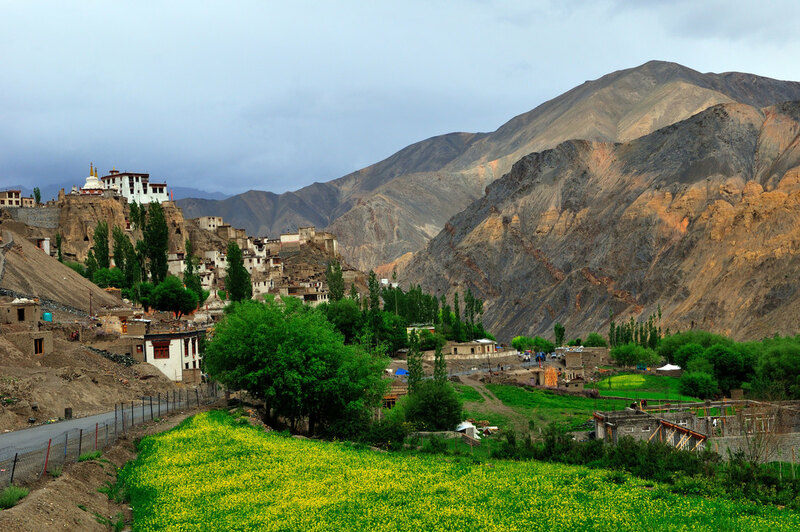 Explore ancient Buddhist monasteries in Ladakh and Sikkim. Ski on the beautiful slopes of Gulmarg in Kashmir. Walk through rural hamlets in hidden valleys along age-old nomadic pathways in Uttarakhand and Himachal Pradesh. And meditate or do yoga at beatific retreats in the cool foothills along rushing rivers and pine forests. 5 Marvel at our confluence of religions & deep spirituality. From stunningly detailed temple sculpture in Gujarat, Khaujraho or the Cauvery Delta in Tamil Nadu to the sacred mosques and dargahs of Delhi, Ajmer and Hyderabad. 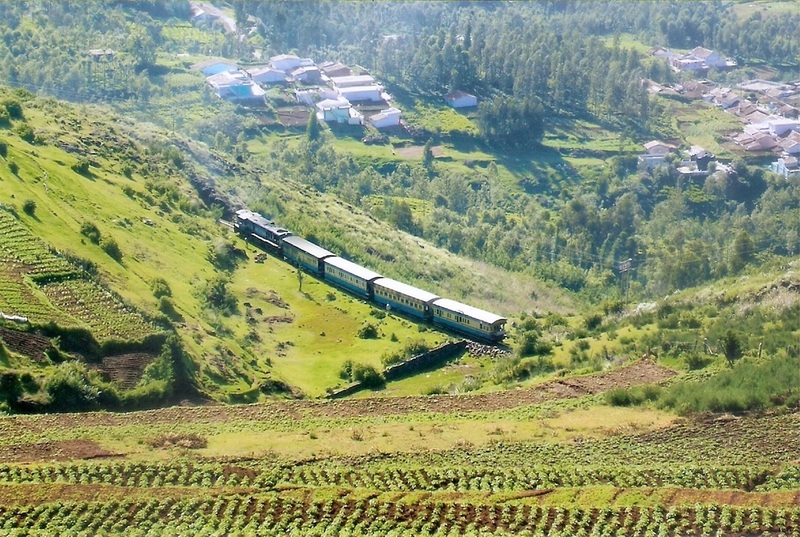 From the Buddha's train in East India to the early Christian influences on the Malabar and Coromandel Coasts, India's melting pot of religions will astound you. 6 Revel in the splendour of palaces, forts, mansions, & colonial bungalows. Converted into hotels, resorts and guest houses, every place has a story to tell and will add depth to your India holiday. Stay at the Udaipur Lake Palace Hotel - one of the world's most romantic places to stay; play hide and seek in 100-room mansions in Shekhawat, Rajasthan or in the Chettinad in Tamil Nadu. Stay in old-world tea and coffee bungalows in the Western Ghats or in the North East, and enjoy a drink in a men-only bar wearing jacker and tie in decaying stiff-upper lip clubs in British Raj era cities and hill stations. 7 Board the slow train to nowhere. 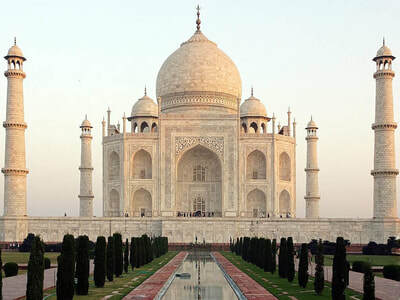 Take a train on one of the world's largest networks and India's biggest people mover. 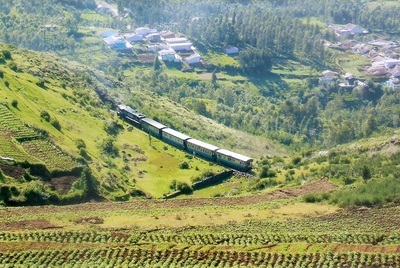 Ride up on a mountain railway made with impossible engineering ingenuity in Darjeeling, Shimla, or Nilgiris. Meet people from different parts of the country on your journey, and discover the smells, sights and sounds of real India. 8 Get out of your car and walk. See the life of India's most energetic and colourful cities with the expert skills of storytellers and insiders. 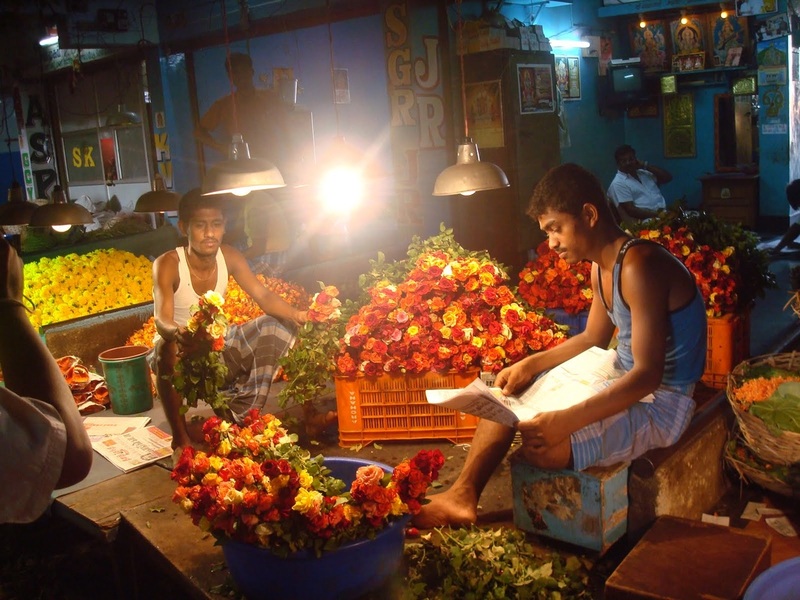 Walk the food and craft crazy streets of Old Jaipur, retrace the British Raj in Calcutta or Shimla, explore flower and fruit markets in Chennai, go on food walks in Madurai, Old Delhi or Mumbai. And see India's urban slums or its picturesque villages on foot and see first hand the challenges and opportunities of being an Indian. 9 Laze away on a beach. Choose from thousands of miles of unbroken sand on the Indian peninsula. Start at Goa's energetic beaches with its party atmosphere, great food, lots of watersports and inexpensive drinks. Make your way south to the Malabar Coast for palm-fringed beaches, fresh catch, and rural fishing hamlets. Make your way up the Coromandel Coast, fast becoming the newest surfing destination in Asia in Manappad, Mandapam and Mamallapuram! Snorkel and scuba dive in the Andaman Islands, among the most beautiful beaches in the world and teeming with marine life and gin-clear waters. Succumb to the spell of Ayurveda - the ancient science of health and wellness at one of many retreats and spas in Kerala or Karnataka to detox and rejuvenate. For meditation and yoga - choose from the big centres of Chennai, Pune, and Mysore or drift into the hills of Southern India or the Himalayan foothills to find your inner self.